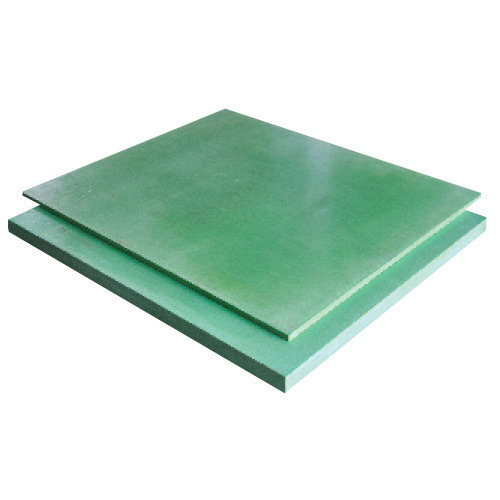 Epoxy Glass Sheets are manufactured from non- modified epoxy resin and specially treated fibre glass cloth suitable for use at elevated temperature. weathering, humidity and many chemicals. These Epoxy Glass Sheets have low thermal conductivity and excellent fire retardant properties. Epoxy Glass Laminated Sheets Rods / tubes are widely used as rod bolts in transformers-stacks, capacitors, transformers, mounting rods and circuit breaker shafts. Special Sizes upto a Maximum of :1600mm x 1250mm can be manufactured upon request. Established in the year 1921, we, Industrial Electrical Engineering Company, is considered to be one of the pioneer in Manufacturing, Exporting the best quality of Bakelite Sheets, MICA Tube and MICA Tape. The product range offered by us is inclusive of Fiberglass Sheet, Bakelite Spools, Epoxy Rod, Epoxy Sheet. Owing to their key attributes such as thermal stability, robust construction, high tensile strength, durability, compact design and ability to tolerate high mechanical stress. For the ease of our esteemed customers, we accept different modes of payment such as cash, online and credit cards. Ethical business polices coupled with professional approach, has helped us in meeting the precise needs of our esteemed customers in the most efficient manner. In compliance with the specifications provided by the customers, the offered of bakelite sheets & epoxy glasses can be customized at our end. Due to our large production capacity, we have been able to manage the bulk demands in the most efficient manner.